The Silver Diamond XLR sits right at the top of all our families of sound in terms of performance. Highly detailed, incredible range and above all natural. Once you hear a Silver Diamond XLR you will find it difficult to go back. “The whole mid/high frequency spectrum unfolds in way that makes you stop and think: what`s going on here? Suddenly there appears to be a huge additional amount of information that was previously hidden somewhere - somehow?! The recovered details strongly enhance the sonic realism and instruments and voices sound even more natural and believable than one ever thought would be possible. 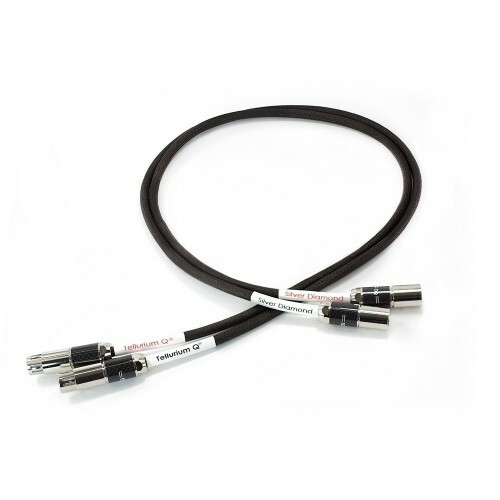 The Tellurium Q Silver Diamond interconnects achieve all this without becoming bright, harsh or annoying in any conceivable way, no, they just sound incredibly natural and relaxed. A big trick in my book!